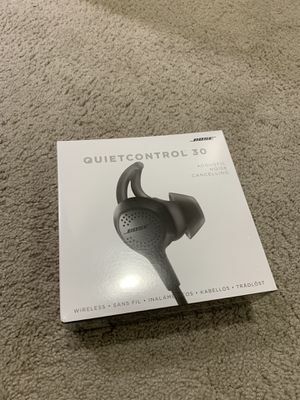 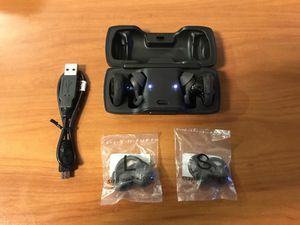 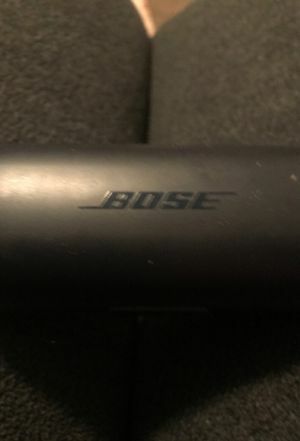 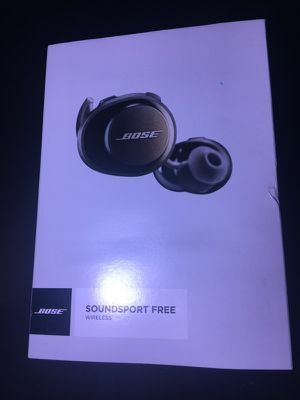 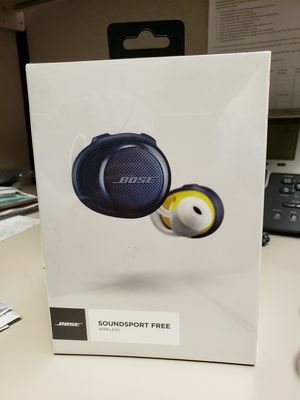 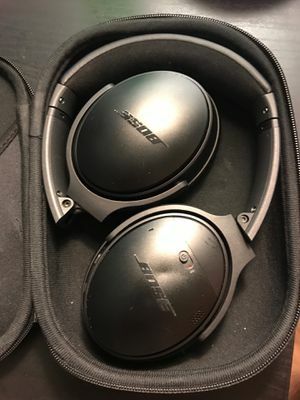 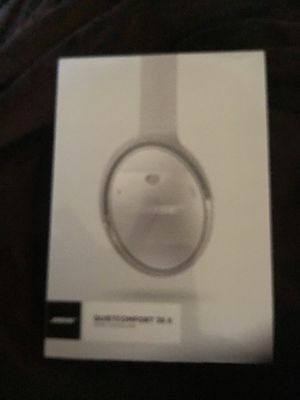 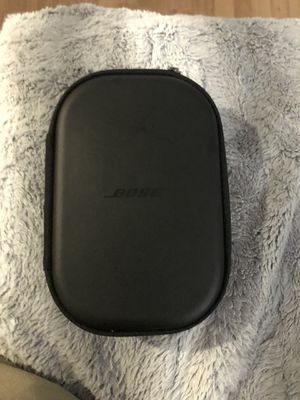 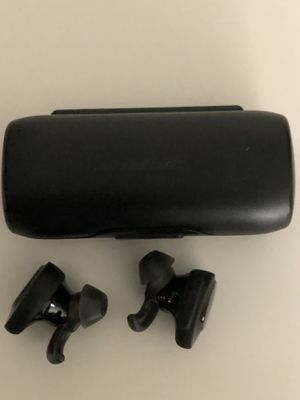 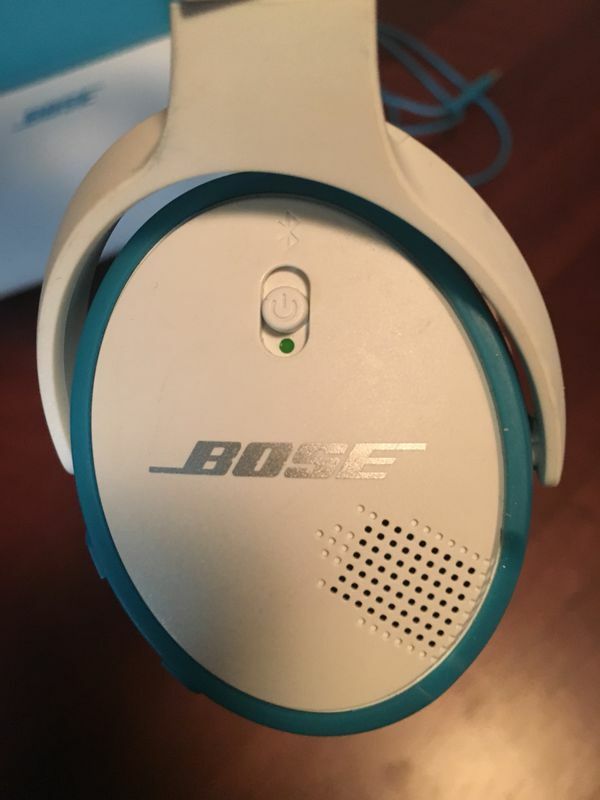 Bose Bluetooth on-ear headphones with aux cord and case. 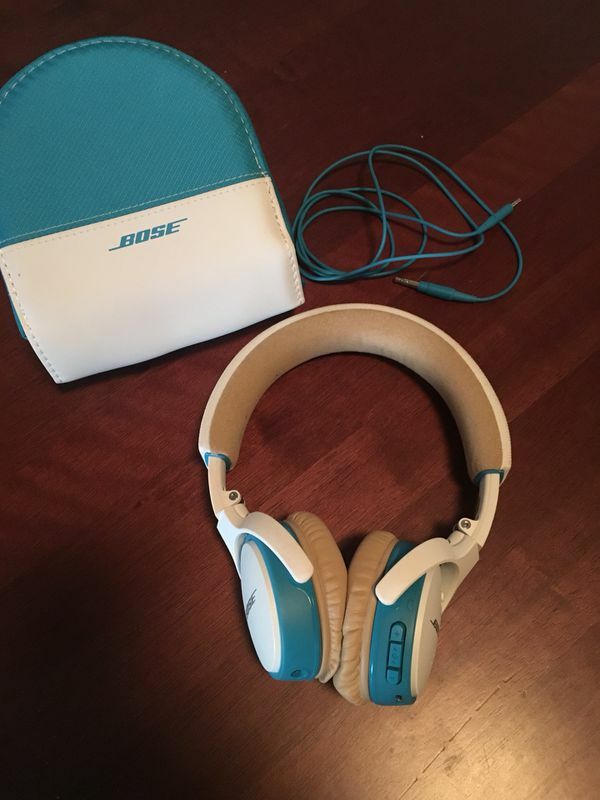 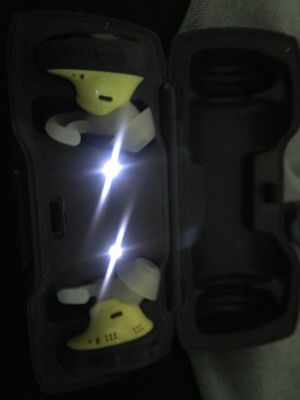 Soft on-ear pads and white/turquoise color. 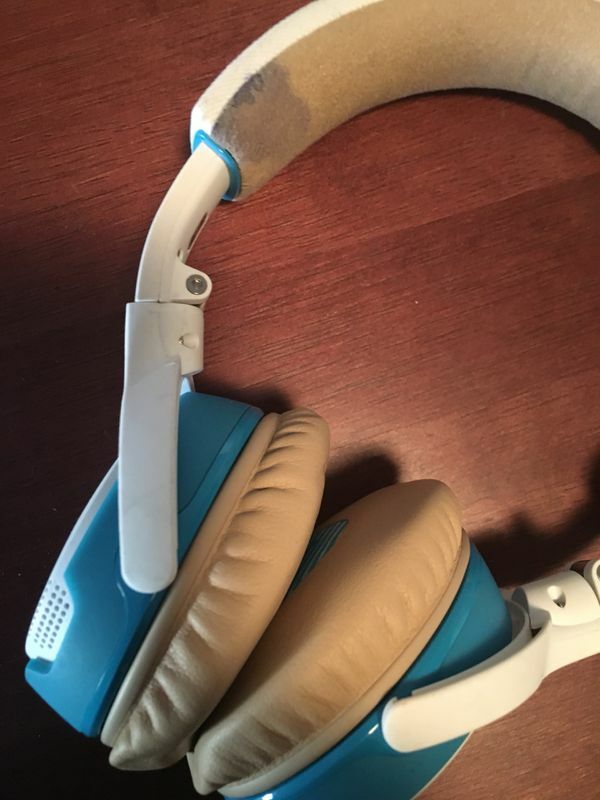 There is a slight spot on the headband, but otherwise good condition.